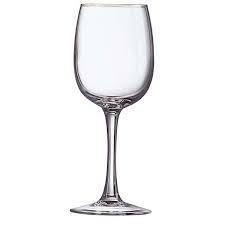 Our Fully Toughened / Tempered stemware ranges offer an increased life span, up to 15 times longer. They also bring increased strength, thermal shock resistance and safer breakage pattern, all of which bring true added value to any venue requiring a performance product. • Savings in terms of budget and restocking costs: a fully toughened glass can be up to 5 times more resistant than an item that has not undergone any specific treatment process. • Fully toughened products are resistant to variations in temperature of 135°C: they can thus be removed from the oven (or from a salamander) and placed directly in cold water without the risk of breakage. • Completely safe for service: when a shock or series of shocks manages to rupture the exterior shell of the fully toughened glass, the resulting broken glass shards are not sharp to the touch.